Bernice West Atwood, 87, a long-time resident of Woodstock, died January 30, 2015 at Mount Ascutney Hospital in Windsor, VT. She passed peacefully with family by her side after an illness of lung cancer. She was born October 21, 1927, in Rutland, VT, the daughter of Ruth Curtis and Lester West. Bernice was one of six siblings that have all been predeceased: Barbara Stevens of Bridgewater, Richard West, Beverly Burnett and Charles West all of Woodstock and Wayne West from Rogue River, OR. Bernice graduated from Rogue River High School in Rogue River, OR in 1946. Bernice met her husband Elmer G. Atwood, Sr. of Woodstock, while working for the local phone company as a telephone operator. The two eloped and were married in White River Junction, Vermont on July 2, 1949 and went to Lake Memphremagog for their honeymoon. They lived in Montpelier for a short time, but later resided in Prosper, Vermont for the majority of their married life. Together Bernice and Elmer had five children. Bernice was predeceased by her husband Elmer on March 3, 1971. Bernice worked for the Woodstock Union High School, as a cook feeding and caring for all the children of the Woodstock area. She worked 25 years until retiring at 68. 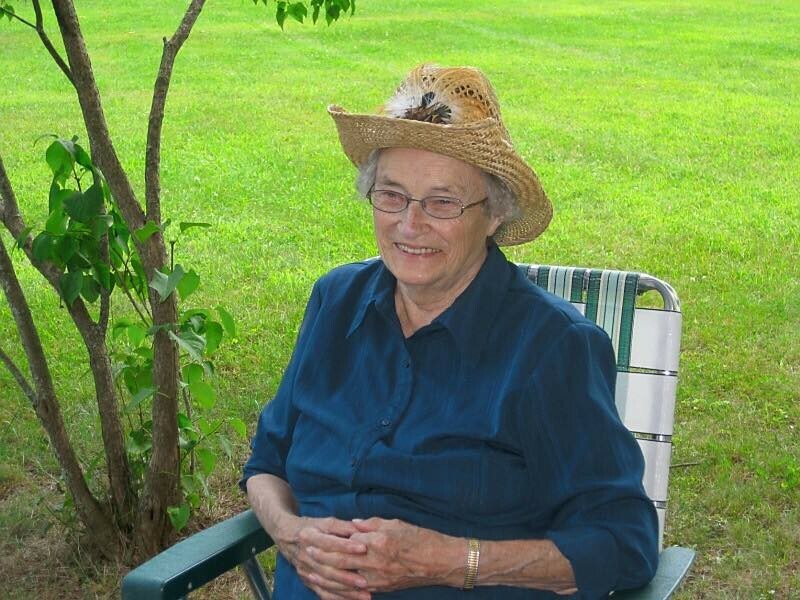 Bernice was a dedicated and loving mother who taught her boys how to hunt, fish and drive. She was a member of the Eastern Stars in Woodstock and enjoyed cooking for the Booster’s Club of Woodstock to serve food to the community during sports games. She was a dedicated and loyal fan of the Woodstock Sports and both the Red Sox and Patriot Teams. Bernice always looked forward to spending time with family, kids, grandkids and friends! Since retirement Bernice has remained active in participating at the local Senior Citizen Center and playing “Double King Pede.” She was a loyal member of the North Pomfret United Church of Christ where she attended services regularly. Most recently, Bernice has enjoyed the company of many of her life-long friends at the Homestead in Woodstock. A love of music, in her younger years Bernice sang and played a mandolin. She loved the community of Woodstock and particularly enjoyed watching the seasons change from her apartment window. Bernice is survived by her children; Marilyn Bradshaw and David of Chelsea, VT, Elmer Atwood and Jeri-Lynn of Hinsdale, NH, Harry Atwood and Rosemarie of Pembroke, NH, Richard (Rick) Atwood and Tina Graham of Perkinsville, VT, and David Atwood of San Antonio, TX. Bernice had eight grandchildren; Michael and Terry Bradshaw, Kaitlyn and Hillary Atwood, Jonathan and Jessica Atwood, Weston and Hayley Atwood, four step grandsons; Shaun Graham, Michael Loyer, Alan and James Anocibar, two great grandkids, Alice and Izic and step-great-great granddaughter Saedi and many nieces and nephews. The family wishes to thank the staff of the Homestead of Woodstock, DHMC Palliative Care, the Mount Ascutney Hospital and Health Center for their Hospice Care and the North Pomfret United Church of Christ for all their extraordinary care, kindness and enormous compassion. Calling hours will be held at Cabot’s Funeral Home in Woodstock, VT from 6 to 8 p.m., on Friday, February 20, 2015 and a Memorial Service will be held at the North Pomfret United Church of Christ in North Pomfret at 2:00 p.m. on February 21, 2015. A committal service will be held in the spring. At your preference, in lieu of flowers the family requests that contributions in Bernice’s memory may be made to; The Homestead, 73 River Street, Woodstock, VT 05091, The North Pomfret United Church of Christ, PO Box 308, North Pomfret, VT 05053 or the Thompson Senior Citizen Center, 99 Senior Lane, Woodstock, VT 05091.